Weelee fits Clek's Foonf, Fllo and Oobr models and most other car seat brands. Poor quality, zipper broke on 2nd use. I was hoping this would be a good traveling luggage but am very disappointed w/ the quality. Zipper broke and when i saw my bag at baggage claim, my heart dropped Thinking of all my missing stuff but Luckily nothing fell out during transporting. We purchased this travel bag over a year ago and have used it several times. It really makes traveling with a car seat a lot easier and eases my mind that the car seat won't get damaged with luggage. 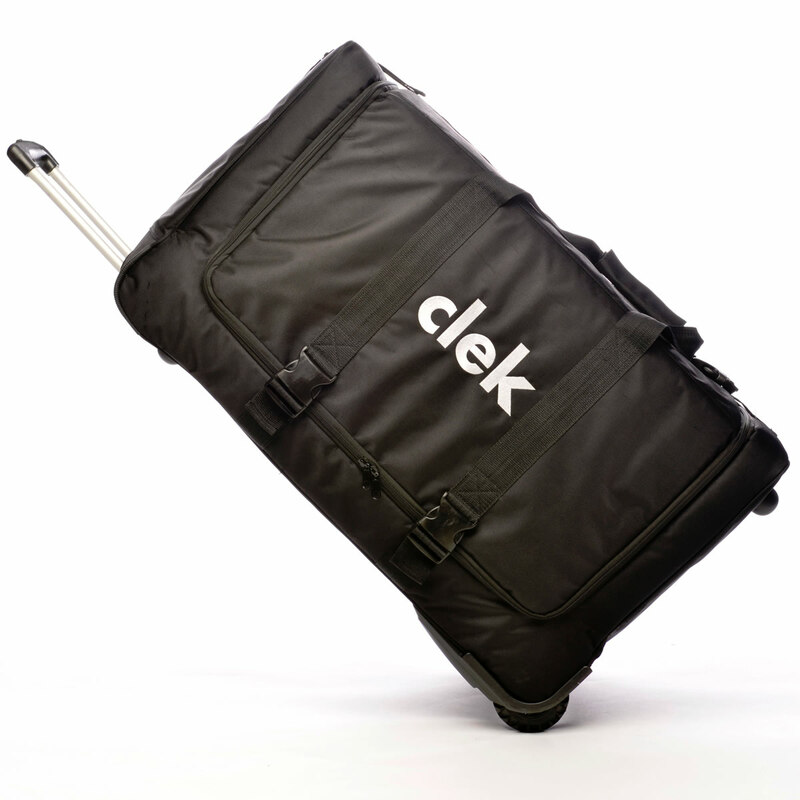 We put the Clek Fllo in it, with some room to spare. The bag is pretty big, but easy to roll around. We keep the directions for the car seat in the bag so that when we are installing the car seat in a rental car we do it properly. I would definitely recommend this travel bag to protect your car seat and to make traveling easier. Wonderful car seat carry back-though enormous! We have travelled with this twice on airlines and it is easy to load the car seat inside however it is on the cumbersome side in terms of size! We were forced to stand in a special line and check it under oversized for one leg of travel recently. Altogether, a necessary travel companion if you want baby to ride in their Clek car seat during travel and want to ensure the integrity of the car seat! We've used this at least on 10 flights for our going. Wouldn't travel without it! This bag is awesome! Its well constructed, sturdy, rolls well and padded! Its expensive but worth it! And it folds flat for storage. ended up purchesing this travel case immediatly when we returned home from traveling without a carseat carrier....it has made a huge diffrence in just being able to get through the airport quickly & its also keeps the seat from getting thrashed.recommended!!! We have used this travel bag for multiple airplane trips. Although it is quite large, it folds completely flat when the car seat isn't stored inside and is very easy to use! It secures to itself to fold flat for easy storage and makes traveling with the Foonf so much easier. i receive it as a gift from albeebaby. and used it in our travel. 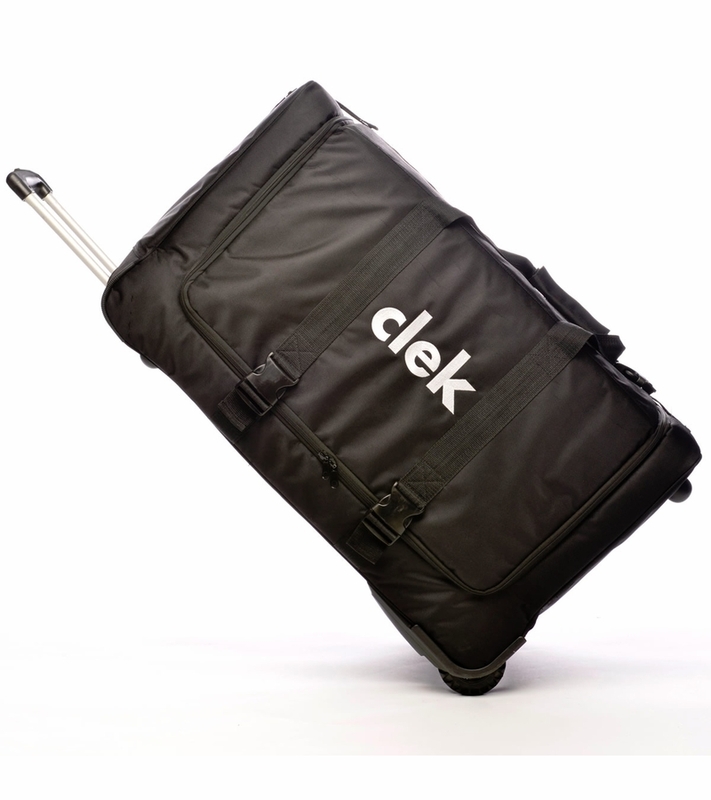 it is excellent match with clek and secure.